November 29 will be the opportunity to discover Shadow technology , specializing in the world of gaming. It is more specifically a scalable virtual PC, accessible from any device and without scheduled obsolescence. 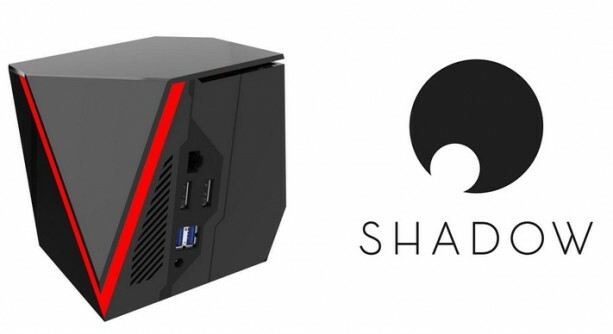 Blade, the French startup that wants to be on the cutting edge of the PCs of the future. They has just introduced Shadow and all the new features associated with it. This is an offer for a virtual PC present in the cloud, which should be launched at the end of the year or in 2018. Shadow is thus dematerialized and therefore puts the tower offside. In addition, it does not need updating and is available via a simple internet connection via a smartphone, tablet, TV or Shadow case. The co-founder of Blade believes that Shadow and its components ” behave like your superpowers local computer (8.2 teraflops processor, Nvidia graphics card, 12 GB of memory, 256 GB of storage), except that the components are located not at home but in gigantic secure centers. Everything is sent over the Internet, without loss of quality and latency by Blade PC. And to access the service, you must have an ADSL or 4G connection. At present, some users had access to Shadow in preview: the gamers. For Emmanuel Freund, ” they are the most demanding target in terms of quality, fluidity “. But on November 29, the general public will also have access. Three types of subscription will be offered: 29.95 euros per month with a commitment of one year, 34.95 euros per month with a commitment of three months, and finally 44.95 euros per month without commitment. A Shadow case will also be offered for sale for 119.95 euros.